Clear display of the lateral end of the clavicle in both images. In fig. 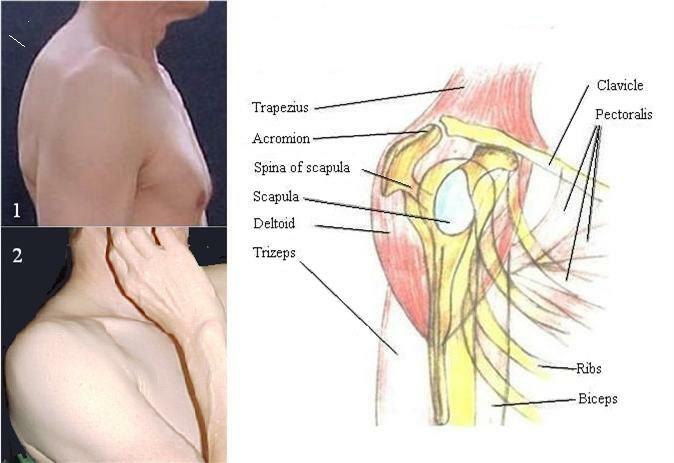 2 the spina of scapula presents as a soft horizontal line (in front of white mark).